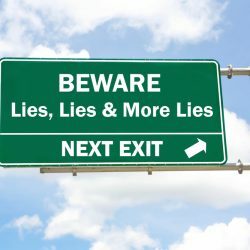 The nuclear industry, like Wall Street, knows how to make money with other people’s money: move liabilities off balance sheet, use lots of borrowed money and leverage, don’t worry about loading too much debt onto the company as long as insiders can walk away with plenty of money and look to the fool taxpayer to cover the losses. Such was the script that private equity used to get rich by flipping companies like Simmons Mattress while driving them into the ground and laying off thousands of workers. It’s also the script that Entergy Corp. is using today to spin off aging, leaking nuclear power plants. Anyone who wants to know how to flip a nuclear plant might want to take a page from Entergy’s playbook. Entergy owns and operates a fleet of nuclear power plants that sell electricity on the wholesale market at prices set by supply and demand. It also does business through subsidiaries that operate as regulated utilities, which sell electricity to households at retail rates set by regulators. It turns out that Entergy, the second biggest nuclear player in the US, is not too sure that nuclear power can compete in the free market. It plans to spin off five of its wholesale nuclear power plants – all leaking radioactivity – into a new shell company front-loaded with billions in debt. The new company was originally named SpinCo, but it now has a nice new name, Enexus. Entergy’s grand plan is in trouble. Vermont and New York have reared up in revolt, and Mississippi is getting into the action, too. The spinoff would include Entergy’s aging Vermont Yankee plant, which the company bought in 2002, and its aging Indian Point plant about 40 miles from New York City. Entergy is trying to extend both plants’ operating licenses 20 years beyond their 40-year design lives. Late last month, the Vermont state Senate voted 26 to 4 to close the 38-year-old Yankee plant when its 40-year license expires in 2012. Citizens worried about the discovery of groundwater contamination from radioactive tritium leaks at the plant were incensed when Entergy testified incorrectly under oath that pipes under the plant did not carry tritium. The Senate vote also reflected concern that Entergy’s new shell company couldn’t afford to properly run the plant and clean up the site. Entergy plans to keep fighting to get the license extension. The spinoff would help insulate Entergy for liability for spills and leaks. In addition to tritium, Indian Point is leaking radioactive strontium 90, a dangerous carcinogen, from a partially decommissioned reactor. Both leaks are moving through the groundwater into the Hudson River. Other plants leaking radioactive tritium that Entergy wants to spinoff into the new company include the Fitzpatrick plant in western New York, the Pilgrim plant in Massachusetts and the Pallisades plant in Michigan. Citizens had better be prepared to fend for themselves. About a quarter of all US nuclear power plants are leaking radioactive tritium, but the pro-industry Nuclear Regulatory Commission (NRC) refuses to require Entergy and other nuclear plant owners to monitor their groundwater. Exelon, which owns the most US nuclear plants, recently agreed to pay over $12.5 million for radioactive tritium leaks at three of its Illinois nuclear power plants. The money will go toward cleaning up groundwater contaminated by the leaks, getting one town a new water supply and compensating affected homeowners. The company was cited for failing to respond properly to 22 leaks that started in 1996. Exelon announced a tritium leak at its Oyster Creek plant in New Jersey a few days after it won a 20-year extension of the plant’s 40-year license. Tritium is also leaking from the Barnwell County nuclear waste dump in South Carolina, where tritium levels in the groundwater under the landfill are more than 1,000 times the safe level for drinking water. The New York Public Commission staff has concluded that Entergy’s proposed spinoff is not in the public interest, and that the new company will be too debt-burdened and financially unstable. Indian Point’s neighbors fear the new company will not be able to clean up 1.63 million cubic feet of radioactive soil at the site when the plant is shut down. The Commission has postponed its decision until later this month and asked for public comment. New York Attorney General Andrew Cuomo is litigating whether the NRC has done enough to protect nuclear plants from aerial terrorist attacks. The 9/11 Commission reported that the lead pilot in the World Trade Center attacks had scoped out the plant as an alternative target. Indian Point’s neighbors will hardly be reassured by this week’s news that an al-Qaeda suspect from New Jersey, who was recently captured in Yemen, had worked for several years in five Northeast US nuclear power plants. To counter the opposition and sweeten the spinoff, Entergy has offered to cut the new company’s long-term debt from $4.5 billion to $3 billion, restrict equity payouts and leave the company with more unencumbered cash up front. That wasn’t enough to entice Wall Street. Finally, there is some action at the federal level to look at the problems with aging nuclear plants. Earlier this month, Congressman Ed Markey (D-Massachusetts ), chair of the House Energy and Environment Subcommittee, asked the Government Accountability Office (GAO) for a thorough report about the adequacy of nuclear reactor safety and oversight and the NRC’s licensing process for new and existing nuclear power plants.